Afro-Palearctic migratory birds have suffered substantial declines over the past 30 years owing to reduced over-winter survival in Africa, habitat degradation in Europe, hunting and the effects of climate change. Populations of migratory birds that breed in temperate regions and winter in the tropics have suffered sustained and often severe declines over the past few decades. An analysis of continent-wide survey data from the Birds in Europe database (Tucker and Heath 1994, BirdLife International 2004) for the period between 1970 and 2000 has highlighted this decline (Sanderson et al. 2006). 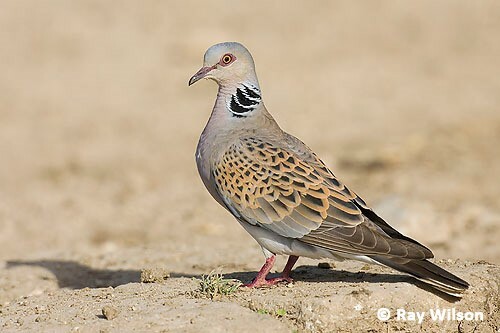 Over the 30 year study period, 48 (40%) of 119 Afro-Palearctic migrant species (long-distance migrants that breed in Europe and winter in sub-Saharan Africa) exhibited substantial negative population trends. Additionally, population trend data between 1980 and 2009 from the Pan-European Common Bird Monitoring Scheme (PECBMS) indicate that of the 38 Afro-Palearctic migrants monitored by this scheme, 21 (71%) have declined in abundance (Vickery et al. 2014). Further, this trend data from the PECBMS indicates that Afro-Palearctic migrants in Europe are experiencing greater rates of population decline (at 23%) compared to resident and short-distance migrants (7% population declines). A combination of threats including habitat degradation on breeding grounds in Europe, hunting in southern Europe and North Africa and the loss of staging areas is likely to be influencing the declines (Sanderson et al. 2006, Vickery et al. 2014). There is also evidence that reduced over-winter survival in dry, open habitats in sub-Saharan Africa may be a contributing factor. Habitat destruction, desertification and lower resource availability in the Sahel zone due to reduced rainfall and increased agricultural intensification are likely to explain these lower over-winter survival rates (Vickery et al. 2014). Between 1970 and 2000, agricultural practices intensified at a high rate—the area of land in sub-Saharan Africa utilised for agriculture increased by only 4%, but fertiliser consumption almost trebled and pesticide imports increased five-fold (FAOSTAT). As global food demand is predicted to double over the next 50 years, agricultural intensification is likely to increase even further, so the threat it poses to migrant species is likely to continue (Tilman et al. 2002). Climate change may also affect some populations by uncoupling the timing of resource availability from the timing of migration (see, e.g., Schaub et al. 2005). Long-distance migrants are most likely to be affected by such asynchrony in phenology, as evidence suggests they may be less able to adapt to change than resident non-migratory species due to their smaller brain sizes and lower problem-solving abilities (Schultz et al. 2005, Sol et al. 2005). Declining European migratory species have not shifted their migration times in response to recent climate change, whereas species with stable or increasing population trends have advanced their migration times considerably (Moller et al. 2008). BirdLife International (2004) Birds in Europe: population estimates, trends and conservation status. Cambridge, UK: BirdLife International. BirdLife International (2017) Species factsheet: Streptopelia turtur. Downloaded from http://www.birdlife.org on 13/02/2017. Møller, A. P., Rubolini, D., and Lehikoinen, E. (2008) Populations of migratory bird species that did not show a phenological response to climate change are declining. PNAS 105: 16195–16200. Sanderson, F. J., Donald, P. F., Pain, D. J., Burfield, I. J. and van Bommel, F. P. J. (2006) Long-term population declines in Afro-Palearctic migrant birds. Biol Conserv. 131: 93–105. Schaub, M., Kania, W. and Köppen, U. (2005) Variation of primary production during winter induces synchrony in survival rates in migratory white storks Ciconia ciconia. J. Anim Ecol. 74: 656–666. Schultz, S., Bradbury, R. B., Evans, K. L., Gregory, R. D. and Blackburn, T. M. (2005) Brain size and resource specialization predict long-term population trends in British birds. Proc. R. Soc. Lond. Ser. B 272: 2305–2311. Sol, D., Lefebvre, L. and Rodríguez-Teijeiro, J. D. (2005) Brain size, innovative propensity and migratory behaviour in temperate Palearctic birds. Proc. R. Soc. Lond. Ser. B 272: 1433–1441. Tilman, D., Cassman, K. G., Matson, P. A., Naylor, R. and Polasky, S. (2002) Agricultural sustainability and intensive production practices. Nature 418: 671–677. Tucker, G. M. and Heath, M. F. (1994) Birds in Europe: their conservation status. Cambridge, UK: BirdLife International (BirdLife Conservation Series 03). Vickery, J. A., Ewing, S. R., Smith, K. W., Pain, D. J., Bairlein, F., Skorpilova, J. and Gregory, R. D. (2014) The decline of afro-palaearctic migrants and an assessment of potential causes. Ibis 156: 1–22.